and just enough for me. 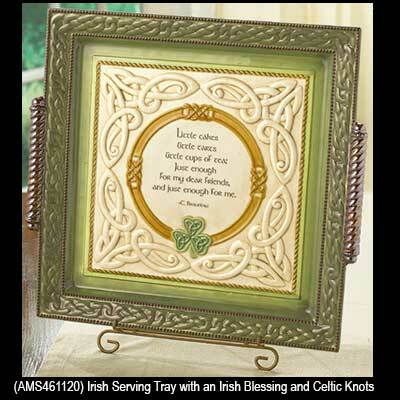 The large Celtic knot and shamrock serving platter features an Irish blessing along with sculpted handles. 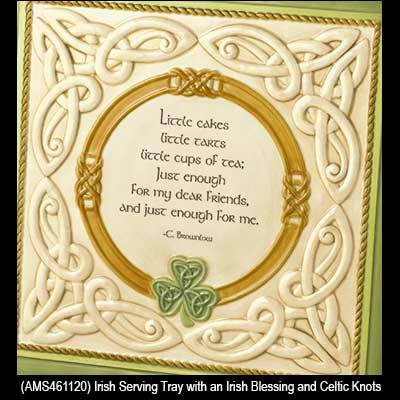 The Irish blessing tray has a 16" wide x 15" tall dimensional design and it includes a metal display stand; the ceramic Irish platter is also dishwasher and microwave oven safe. This Irish kitchen gift is gift boxed with shamrock and Celtic knot history cards that are complements of The Irish Gift House.